My policy towards free stuff pretty much echoes my editors. As far as travel goes, some magazines allow me to take free travel. The Taj group for instance, will email and say, let us send you here “just to experience.” Of course, there is no free lunch and the assumption is that you will write about it for someone. I hate these golden handcuffs. These days, I only take free trips if an editor assigns an article on the destination. Otherwise, it is a waste of time. Same with wine. Indian wine-makers like to send free cases to whoever they believe will help influence. The thing is that it is not THAT expensive to buy a bottle, so then I think, “Do I want to be beholden to these people?” and usually it is not worth it. So it was with KRSMA. Their marketing person, Sneha, emailed me saying that they wanted me to taste their wine. Since I had already bought and tasted their wines, I didn’t reply. Then, the founder, Krishna Prasad Chigurupati wrote. Now, this is a guy, who has run marathons in every continent (along with his wife, Uma). So I am sorta in awe of them. I have never met them or spoken to them by phone even. But Mint Lounge did a story about them, which is how I know about the marathon thing. To combine wine, a pharmaceutical business, and marathons takes some doing and these guys are “punting at a high level,” as someone I know (NR) would say, so I didn’t know what to do. Take my wine, says this guy Krishna. I’ll buy it, says I. Please send us your address, says he. I don’t reply for ages. Bottom line: I got this wine for free and I am sort of upset about it because it reflects all the issues I have about the food and beverage industry on so many levels: about objectivity in reviewing when the publication doesn’t have the money to review; and whether reviews actually work in terms of what they are supposed to do. 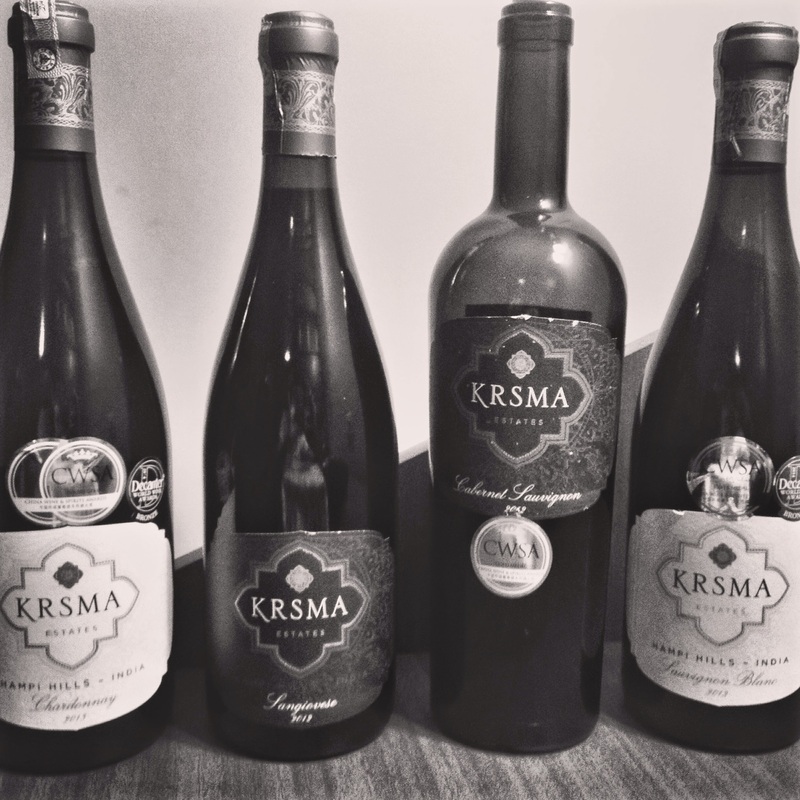 So I got a few KRSMA wines some months ago, and I have been trying them. Here is the good stuff. I believe that KRSMA is in it for the long haul and I believe that they have the means, the passion, and the know-how to make good wine. By that I mean that this couple has travelled and tasted the best; they have high standards; and while it is a commercial venture, they are after the glory as well. They are a class act and they won’t skimp or nickle and dime. Here is a photo of the founders. Are their wines good? Comme ci comme ça. I haven’t had a good sauvignon blanc in ages, and I liked theirs. I think part of the trick with wines is figuring out what you like. I like karela and grapefruit and so I like bitter stuff: Gruner Veltliner is a favorite wine. KRSMA’s sauvignon blanc had that tinge of karela/grapefruit complexity with a hint of bitterness that I like. I also don’t like oaked chardonnays and theirs is unoaked. I don’t like high alcohol wines and all their wines are under 14% alcohol even the reds. I don’t like their reds as much as I do their whites, but that is an India problem. In my view, it is hard to make decent reds in India. I had a great red recently. I got it in DC with an autograph from the winemaker. It wasn’t that expensive: under $100, but man, the aroma. 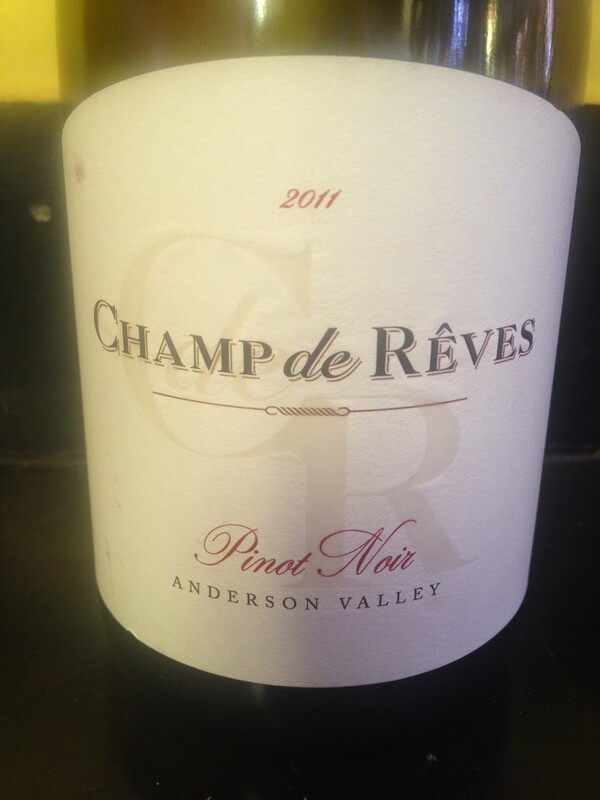 Better than the last Burgundy pinot I tried. The bottle had an autograph from “Eric,” and I am keeping it.